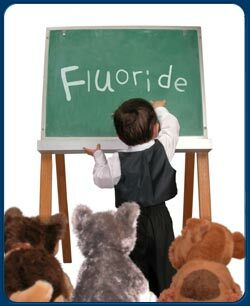 Research has shown that fluoride is highly effective at reducing tooth decay. We recommend using a fluoride toothpaste as the best way to reduce the risk of tooth decay. A pea sized amount of paste should be applied to the brush and teeth brushed for 2 minutes twice daily. After brushing we recommend not to rinse your mouth as this will remove the toothpaste from your teeth. It is best to simply spit the excess foam and paste from your mouth. Fluoride varnish provides extra protection against tooth decay when used in addition to brushing and is also used in cases of severe sensitivity. Fluoride varnish is a sticky gel that is applied to teeth using a soft brush. The varnish sets quickly and has a pleasant taste and a fruity smell. Your child may be offered fluoride varnish application at each check up appointment from the age of two. We also recommend you child to join our Childsmile programme which will run alongside Childsmile visits at nursery or school. For some children this will mean they will have four applications of fluoride varnish per year. These additional applications will give additional protection to your child's teeth. You should let your dental practice know if fluoride varnish has recently been applied at nursery or school. Your child should not be given anything to eat or drink for at least 2 hours following application. Additionally, they should not brush their teeth on the night of the varnish application. This allows the varnish the time to soak into their teeth to provide maximum protection. Further information If you would like any further information please speak to your dentist or our Childsmile nurse, Karen.